Mark A. Cevallos grew up in San Antonio, Texas. Mark earned a President’s Scholarship to Wabash College where he received his A.B. in Economics in 1999. At Wabash, Mark played lacrosse and was an editor for the school newspaper, The Bachelor. Mark participated in the Wabash Moot Court competition from 1996-1998, and was a Finalist in 1997. After graduation Mark returned to San Antonio to earn a J.D. from St. Mary’s University School of Law which he earned while working full-time. Mark spent two years as a legal intern at the Bexar County District Attorney’s Office where, practicing with a Third Year Bar Card, he secured a conviction in a Driving While Intoxicated jury trial, which was later affirmed on appeal. 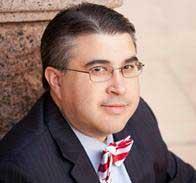 Mark is an experienced litigator with a statewide practice. Mark has tried auto accident, workers' compensation, premises liability, defamation, and criminal cases to jury verdicts. He has tried dozens of non-jury and administrative trials. Mark is also an experienced appellate advocate having written nearly 60 appellate briefs and has appeared for oral argument in the Second, Third, Fourth, Fifth, Seventh, Eighth, Eleventh, and Thirteenth Courts of Appeals. Mark enjoys sports, tailgating, reading non-fiction, and video games. Mark lives with his wife and their cats on San Antonio’s West Side.